Standard Colours : Military green, dark blue and red. Standard Packing : 3per box. Since commencement, our company has set benchmark in offering Customized Swing Bin to the clients. We are one of the leading importer & supplier of Color Coded Bins. These are known for their strength and durability. These can be availed at market leading prices. 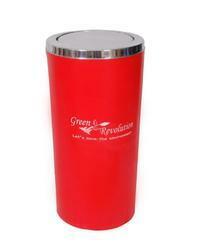 Crack proof in nature, these Customized Plastic Dustbin are presented in the market in safe form. 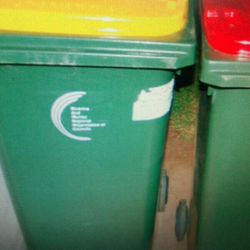 Moreover to this, these presented dustbins are quality inspected by professionals before bringing in the market. Light in weight, these dustbins are excellent in quality and remain sustained up to longer years. We are Leading Manufacture and Supplier of the Customized Dustbin. Size: 1180 mm x 615 mm Dia. Dustbins are long lasting and more economical for use. They are used by residential colonies, Gram panchayats, Societies and other such institutions. Cattle Troughs: As the name implies these are used for toddler and water for cattle’s these provides cleanliness, which is essential for health.